If you prefer to rev up with a workout, our state-of-the-art fitness center has a variety of cardiovascular and weight equipment to help you get re-energized. Start the season awakened and renewed! 50 minute Classic European Facial with a complimentary Vitamin C Mask. Step into spring with our classic pedicure that uses a Lavender Lemonade sugar scrub to soften and melon milk to nourish your skin. The treatment finishes with quick dry, non-toxic nail polish, all while you sip on a glass of fruit juice infused champagne. The aromatic combination of Lavender and Lemonade will awaken your senses and relax your mind. This 25 minute full body exfoliation leaves your skin soft and radiant, while you enjoy on a refreshing Lavender Lemonade. This tailored session will focus on areas of tension utilizing a variety of massage techniques designed specifically for you! Enjoy the benefits of Stay Well in this one of kind treatment room that offers air purification, calming aromatherapy and circadian lighting. The immersion bed has natural memory foam and Moving Art Videos aimed to reduce stress alongside your light touch Swedish Massage. 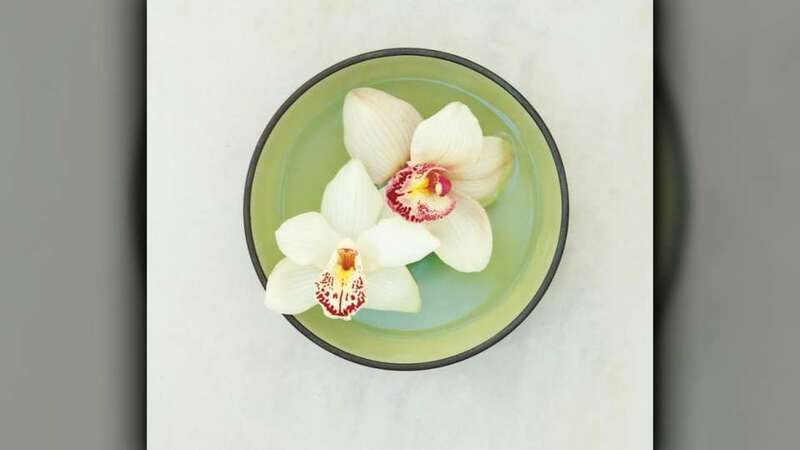 A perfect harmonic blend of aromatherapy, hot stone, and deep pressure massage which help you to relieve tension and balance your mind, body and soul. Maintain optimum performance with our sports massage that utilizes a full range-of-motion routine including therapeutic stretching and body alignment. Experience this full-body classic massage using light to medium pressure designed to promote a healthy lifestyle and a sense of tranquility. Unique massage techniques are used to restore and refresh every expecting mother's needs. Recommended for women in their second or third trimester. A combination of massage techniques and customized pressure will ease your back, neck, and shoulders into a state of rejuvenation in a short amount of time. Relish in this precision massage meant to revitalize tired hands and feet while a stimulating scalp massage enhances your overall relaxation. Fall into a euphoric realm as we use pressure points to release tension in your feet. You will be walking on air by the end of this amazing foot rub! Prices vary based on operating hours. Our massage therapists will offer a customized massage in the convenience of your own guest room. Invigorating tea tree and eucalyptus aromatherapy removes impurities and build up, leaving your scalp tingling and refreshed for hours. Enhance your massage by adding one of our essential oils. Each aroma has its own unique benefits and naturally alleviates the body of impurities. "A Dream Service for Real Life!" The Dreaming Ritual is a tribal-influenced service inspired by the Aboriginal culture in Australia. 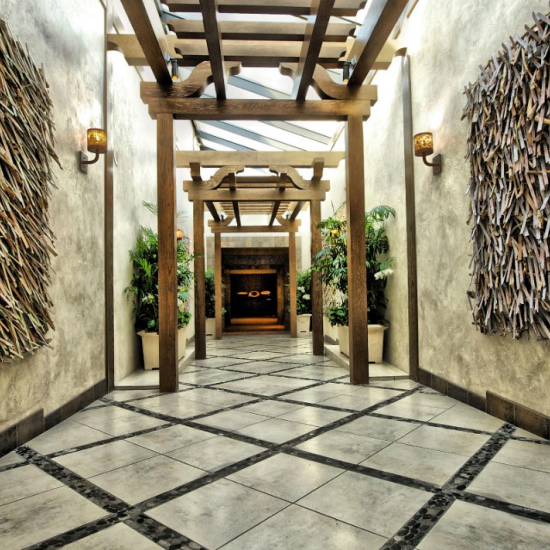 Embark on your journey beginning with a tranquil foot bath followed by a full body desert rose salt scrub and mud wrap. Continue with a scalp massage followed by a choreographed Kodo massage. We invite you to be a part of our perfect DREAM! Partake in this ancient Japanese healing art form of massage. This oil free service focuses on trigger and meridian points. Tension is released, opening your energy channels, therefore allowing your Chi to flow and re-energize you mind, body, and soul. 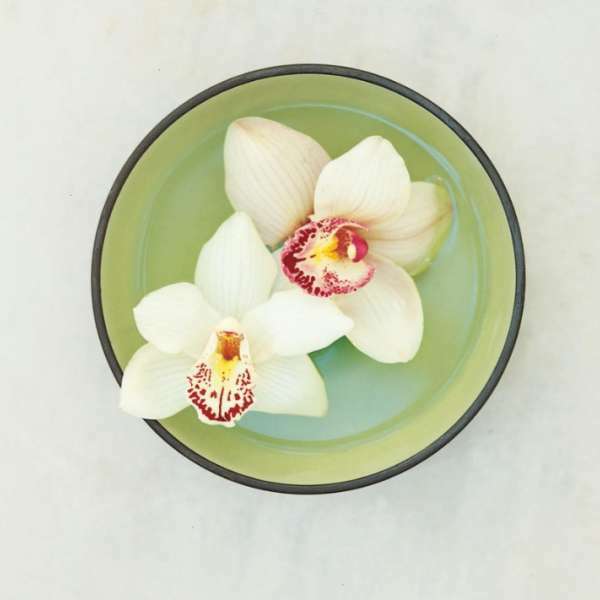 Melt away in this treatment inspired by the Hawaiian healing concepts of working with the body, mind and spirit. Gentle, rhythmic pressure of the hands and forearms helps to relieve tension, promote healing and influence a healthy balance of the body and mind. This experience calms the mind and hydrates the skin. The ritual starts with a body buff for gentle exfoliation, then using elements of pressure release; the intense hydrating treatment is applied with a hot stone to drench you skin in moisture. This treatment utilizes warm herbal Moroccan oil that is gently streamed onto your scalp and massaged into your head using pressure point and circular motions. 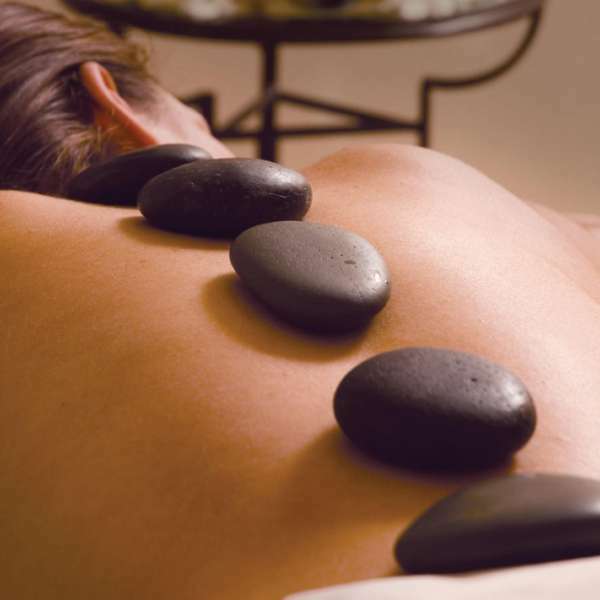 Unwind as the massage moves to your neck, shoulders and décolleté, leaving you in a profound state of tranquility. Companions, couples, newlyweds, or just friends...Spend a little more time with each other and share in the heavenly experience of a spa service side by side. 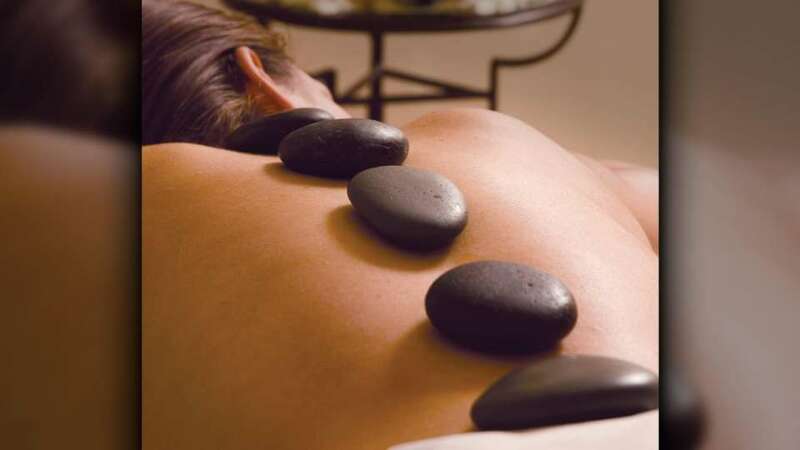 You will each have your own therapist while delighting in any one of our massage services of your choosing. Does not apply to 25 minutes services. Body exfoliation services performed in a wet room with the use of invigorating Vichy shower. Choose from Morning Latte, Citrus Splash, or lavender. Wake your body up with the firming and tightening effects of caffeine. This signature coffee blend promotes the appearance of healthier, younger looking skin! Indulge in our Citrus Splash scrub while salt grains exfoliate and moisturize your skin leaving it soft, supple, and hydrated. Enabling you to glow from the inside out! Enjoy the journey of the aromatic scent of Lavender will awaken your senses and relax your mind, leaving your skin soft and supple. Turbo Bronzing is the most effective, heat-free method towards achieving a gorgeous healthy glow. Results are natural and streak-free. Let your thoughts drift away, whilst cocooned in a comforting wrap of rich marine algae and detoxifying Juniper and Lemon, helping to refine the appearance of cellulite and relieve the discomfort of fluid retention. The body treatment is paired with a mini facial massage. This Nutrient-rich detox wrap uses the deeply nourishing Green Tea balm to encourage super skin health and powerful detoxification. This wrap helps stimulate the elimination process and restore equilibrium to leave you feeling completely reinvigorated. The body treatment is paired with a mini facial massage. A powerful blend of massage and detoxifying clay for targeted toning and tightening of the back of arms for an airbrushed finish. Or focus on targeted toning and tightening on hips and thighs, reduce the appearance of cellulite. A clinical alternative to micro-injections and needles, the Botinol Facial is a signature age-defying treatment that combines five peptides including Matrixyl®, Myoxinol®, Argireline®, and Retinol. This relaxing treatment offers pleasant textures and exquisite essences delivering an overall sense of well-being. A perfect treatment to mask the signs of aging, leaving plump skin with visibly reduced expression lines and wrinkles, for a youthful and rejuvenated finish. This traditional facial customizes cleansing, exfoliation, mask, steam, extraction, moisturizers, and massage to your skin type. In addition, your aesthetician will recommend enhancements tailored specifically for your skin. This treatment is designed to address a MAN'S skin. Your aesthetician will target skin impurities through extractions, mask and a stress-reducing facial massage sure to leave your face feeling refreshed. A nutritional boost rich in superfoods and essential minerals designed to pack stressed, dull skin with energizing, detoxifying actives leaving your skin plumper and radiant with good health. Replenish your skin with a boost of active Vitamin C. This powerful antioxidant treatment is especially ideal for sun damaged and dehydrated skin. Walk away with a dewy radiant glow. Intended to target acne prone skin, this facial purifies with a selection of fruit acids and antibacterial agents. Finish with our calming mask leaving you feeling refined and clear. Improve the appearance of fine lines, skin tone, and radiance with visibly smoother skin. Our patented products will deliver instant tightening results and reduce sagging undertones. Be youthful again! A perfect service for our guest "On-the-Go!" Maintain your existing skin care regime with this service. Experience a cleansing, scrub, mask, and moisturizer in a short amount of time. Does not include steam or extractions. All enhancements are available under the recommendation of your skin care technician. They will be performed within the existing time frame of your scheduled facial. Packages available Monday - Thursday, based on availability. All Personal Training sessions include same day access to the MGM Grand Spa. Enjoy amenities such as a sauna, steam room, whirl pool, showers and relaxation area. A full body one-on-one partner stretch designed specifically to relax your muscles and tranquilize your mind. Perfect for those looking to increase flexibility, improve posture, or even just lay back and unwind. and the Personal Trainer will discuss a possible workout plan and explain exercise machines and exercises. Group classes are scheduled on select days during the week. To make a reservation for group classes, please contact the Spa at 702-891-3077. All Group Exercise sessions include same day access to the MGM Grand Spa. Enjoy amenities such as a sauna, steam room, whirl pool, showers and relaxation area. Tone up with Body Sculpt! A fitness experience designed not only to build strength, endurance, and muscle tone, but to give you the confidence to show it off. Available Wednesday and Friday. Get your fitness kick just how a soldier would! Experience the teamwork, comradery, and motivation from the fitness instructor, while the non-stop intensity challenges your mind and body until the very end. Available Thursday and Saturday. efficient and timely manner. This is the perfect way to quickly get your pump on at the most convenient time of day for you. Available Tuesday - Saturday. entertainment, all while performing heart-pumping exercises alongside our iconic attractions. Perfect for all fitness levels. Available Tuesday. The Grand Spa and Grand Salon are open everyday. For MGM Grand hotel guests we accept spa reservations up to three months in advance and salon reservations up to six months in advance. 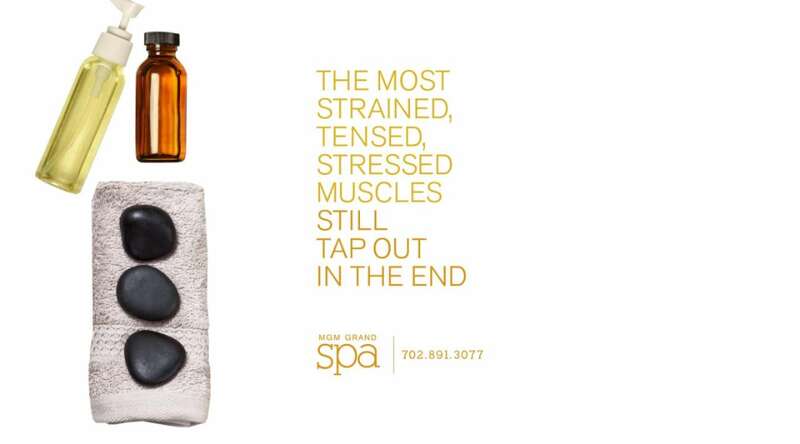 For further information or assistance for the Spa, please call 702.891.3077 and for Grand Salon, please call 702.891.3339. Please notify the reservation agent at the time of booking should you have special requests, physical ailments, allergies, or if you are pregnant, as we do not recommend massage services for women in their first trimester of pregnancy. We have a full spa facility that may be enjoyed all day on the day of your treatment. We encourage our guests to take advantage of our facilities such as steam, sauna, whirpools and lounge areas to enhance their spa experience before and after receiving treatments. Because the spa treatment begins at the appointment time, we ask that you arrive 30 minutes prior to your scheduled appointment to allow time for check-in and changing. Arriving late may interfere with your treatment time and will reduce the integrity of the treatment. Late arrivals will also be responsible for the full cost of the scheduled service time at both the Spa and Salon. As a courtesy to the next guest, your treatment will end at the scheduled time regardless of when your service begins. All Spa and Salon prices are subject to change without notice. For your convenience, a 20% service charge will be added to all Spa treatments. Treatments you selected are held in reserve for you. In order to ensure that we provide the best service possible, cancellations must be received at least two hours prior to the appointment time or you are subject to a fee equal to 100% of the service price. Spa and Salon packages and Salon hair extension services must be cancelled at least four hours prior to the package time in order to avoid a 100% charge of the service price. Based on groups of 20 or more, we can create a package that will be tailored to your needs. Requests for a male or female therapist can be made upon booking an appointment. A specific therapist may also be requested for your service. To preserve your skin, shaving is not recommended before a body treatment, salt scrub, or Men's Facial. If you wish to shave, please do so a least four hours prior to your service. Massages and body scrubs and not recommended for sun burns. It is soothing and beneficial for guests to shower prior to receiving their service. Clothing is optional in our men's and women's spa environment. Each guest will be provided with a personal locker, spa robe and sandals for added comfort. We recommend that the guests not wear undergarments during their massage or body scrub service, although, undergarments may be worn if preferred. Professional draping is performed throughout the duration of the service for privacy. In addition to personal lockers, we also provide safety deposit boxes to store your valuables. However, we suggest that our guests travel light to the spa with little or no jewelry. 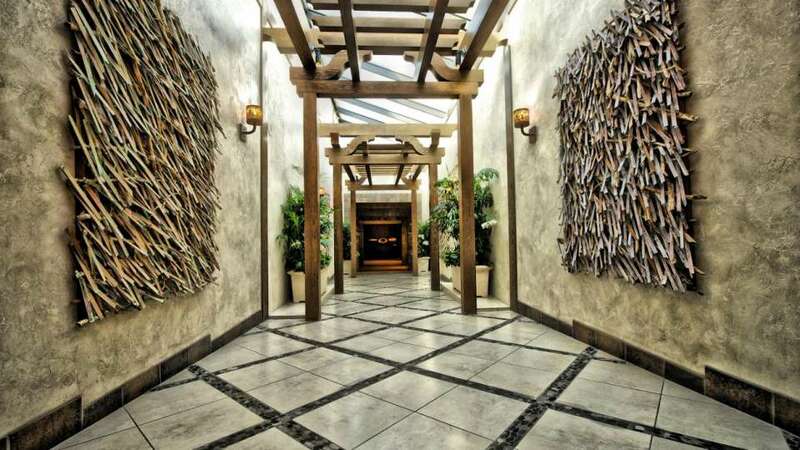 Our spa is an adult environment, designed for guests ages 18 and older. Young adults under 18 are invited to enjoy the services at Grand Salon. We’re pleased to invite non-hotel guests to use the Grand Spa, Monday through Thursday. The All-Access Spa Pass is only available to hotel guests. The Grand Spa & Fitness Center is located just past The District, near the entrance to The Signature and the Grand Pool. From the front desk, begin walking straight through the casino and bear right after The Lobby Bar. Walk straight toward the KA Theatre and then take a right toward The District. Walk through The District passing Morimoto, Hecho and CSI. Turn left just before the escalators and the Spa & Salon entrance will be on your left, just past The Signature entrance. From the Las Vegas strip walk through The Central toward the Buffet. Pass the Buffet and take a right at Avenue Café and then bear left before passing Lobby Bar. Walk straight toward the KA Theatre and then take a right toward The District. Walk through The District passing Morimoto, Hecho, and CSI.Turn left just before the escalators and the Spa & Salon entrance will be on your left, just past The Signature entrance. Offers subject to availability and cannot be combined with any discount offers or promotions. Management reserves all rights to change promotion at any time and without notice. A 20% service charge will be added to all spa services. Look & feel your best. REVIV offers 5 IV Infusions and 4 Booster Shots catering to your wellness. Our Stay Well Aromatherapy Massage can be performed in a Stay Well friendly room. 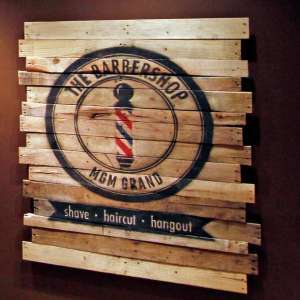 Located in the Grand Spa, The Barber Shop is male-centric venue that creates the perfect setting for relaxation and grooming.